Martin Benn was born in Hastings (UK) in 1974. 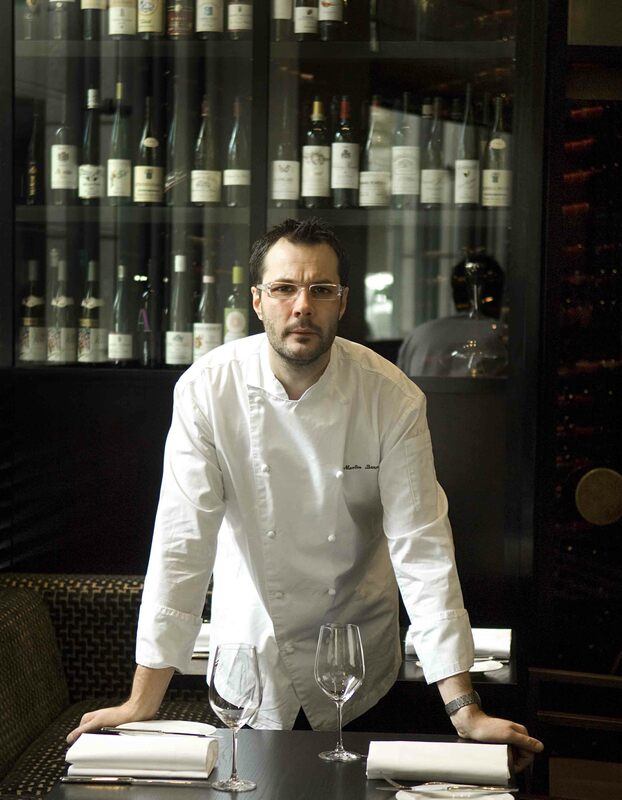 He began his career at the Oak Room in London with the French chef Michel Lorrain and afterword went to the Criterion with Marco Pierre White. Later on moved to Australia and worked for the master chef Tetsuya Wakuda. At the young age of 25 he became head chef of Tetsuya’s! In 2009 he opened Sepia, his new baby! 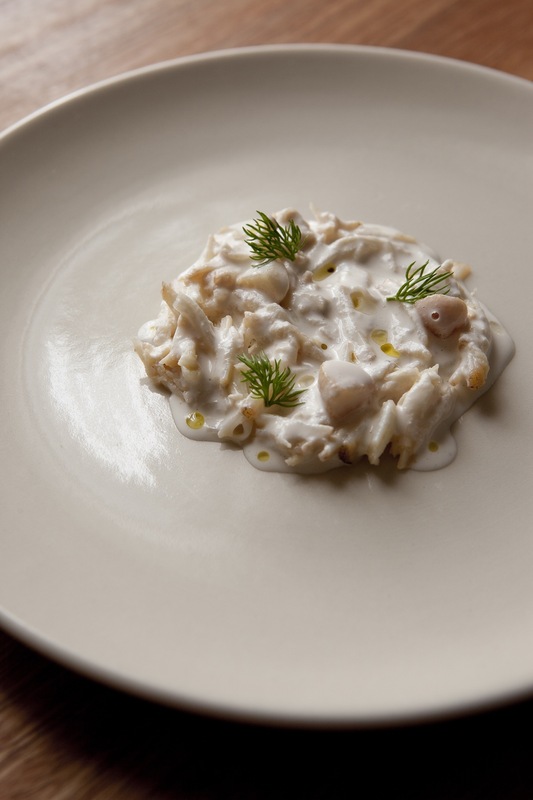 High quality seafood is certainly at the center of his cuisine; a cuisine of purity, experimentation and perfect mastering of French techniques and Japanese’s influence. 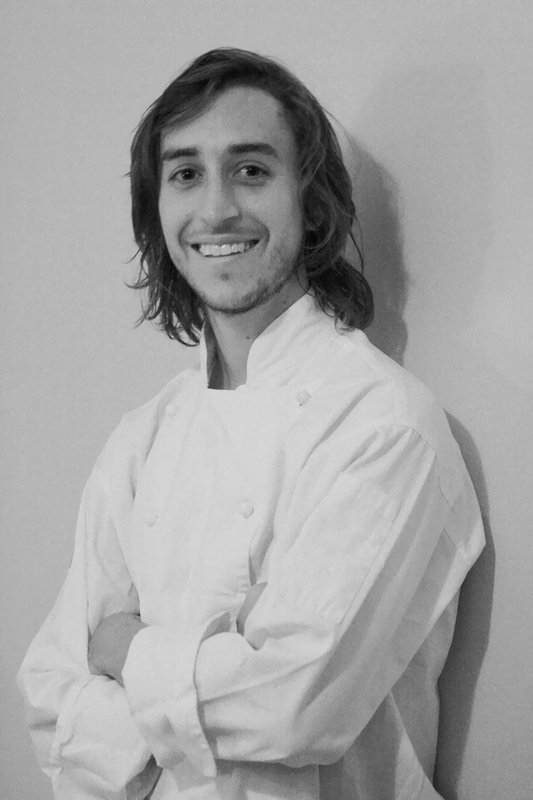 It’s impossible to qualify his cuisine by one word, it’s the Benn’s way… A young restaurant but a great chef! MBenn- My philosophy behind my cuisine is to use a light handed approach in terms of gentle cooking techniques such as slow poaching at low temperatures. My menu is strongly driven by seafood and whilst the basis of preparation is French in nature, there is an obvious Japanese influence. I have a high respect for ingredients, especially from the sea and demand produce that is not only high in quality but is sustainable. I believe that this helps to push the seafood industry forward and leads to better supply practices for all. MBenn- At Sepia we are always in the process of experimenting with different products or foods which sometime we come to a dead end and have to put it down for a while to reflect. At this moment I have turned back to my fascination back to wakame seaweed and its gel like characteristics we are finding that it can be used as a crust or to coat a food. It also gels at around 62 celsiu to form a sponge like texture. 3-(Scoffier) Do you have a particular flavour or taste from your childhood that is again memorable? 4-(Scoffier) Is there any elements from your cuisine that is typical from the Australia? MBenn- Being British and moving to Australia was difficult as the style of cooking here was very different than the style I was used to in the UK. Food was a lot lighter due to climate and the importance of multiculturalism shaped the Australian way of life. I believe that working for Tetsuya was typical in many senses as it would have been as for working for Shannon Bennett with his modern take on French Cuisine. 5-(Scoffier) You worked and you was the executive chef of Tetsuya’s, what do you have learned with Chef Tetsuya Wakuda? MBenn- Working for many years along side Tetsuya was a great honour for me, from a man whom started from nothing to build the greatest restaurant in the country can teach you so many disciplines. I started with Tetsuya back in 1999 when he still had his 50 seat restaurant in the suburbs of Sydney. At that time there was only 6 in the kitchen serving 12 courses. I was promoted to head chef in early 2000 and then we moved to his iconic restaurant in Kent Street. For me at this time not know it but I began to grow not only within the kitchen but also on running a business. Produce became more and more interesting in Australia at this time and the abundance of seafood was where my passion lied. From the treatment of handling the fish to the tastes and textures that make food so exciting. The greatest gift that Tetsuya taught me was the memory of taste and how it affects the way we feel, and also about the Umami. MBenn- I try to keep it simple at home often just cooking a simple great Australian fish like Whiting or Blue Eye simply seasoned and cooked on the BBQ with lemon and good Australian olive oil. 7-(Scoffier) I look at your menu at Sepia, you often change your tasting menu? 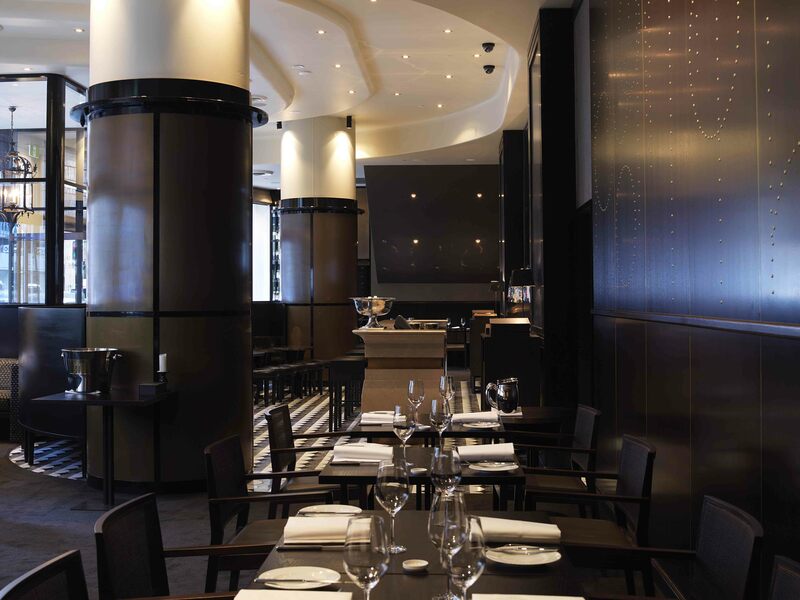 MBenn- At Sepia we are trying to run a few different menus to as to please our market the business lunch, à la carte dinner and the Degustation menu which we run each night. On Saturday nights however due to popular demand we have introduced a set 9 course dinner menu only, that appeals to the enthusiastic diner. This menu we have a lot of fun with and it may change of each Saturday. It gives us the chance in the kitchen to experiment with techniques and what is unusual in the market. 8-(Scoffier ) I know that the chef Pascal Barbot (L’Astrance) take a lot of time (40 % and more) choosing and picking his produces at the market. Do you spend as much of time to choose and pick your produces? I know that you pick herbs each morning at your home? MBenn- Unfortunately, I only have a small rosemary bush which has seen better days!!!!! But I do work closely with a farmer who grows lots of baby herbs and flowers for me at my request and we try to get certain cress to grow which can be hard in the Australia climate. Fortunately for me, my business partner is one of Australia’s most renowned seafood suppliers George Costi of DeCosti Seafood’s, which means I get to have the market on my door step every day. We have a choice, which in this day of sustainability is so important. Each day, I will talk direct with George to talk about the days catch adding specials to the menu or changing the menu seasonally. 9-(Scoffier) Do you use some elements from molecular gastronomy or from new technology in your cooking techniques? If yes, which? MBenn- I believe that we all need to look to the future but at the same time be grounded by what we know and understand. From my days at Tetsuya’s we would use Agar in many of our applications to form gels even though this has now become part of the ingredients found in a lot of kitchens today, it came naturally to us as this is what the Japanese have used for decades. I am a firm believer in the sous vide technique and again have used this really for the last 15 years. But still it seems that every day my team and I are finding new and interesting ways for using this application. 10-(Scoffier) What is the importance of wine pairings in your menu at Sepia? MBenn-That each must complement the other. This is very subjective to each individual guest that dines with us that is why the Sommelier is so important. We are blessed at Sepia to have Rodney Setter. A man whom is so passionate about what he does. We only have a small list at Sepia but Rodney has come up with a really clever and interesting list from around the world. 11-(Scoffier) Can you give us a detailed recipe (Signature dish) that is characterized the cuisine of Martin Benn? MBenn- See the recipe with images. 12-(Scoffier) What is your goal (ambitions) as a chef or for the restaurant? Do you think about write a book, a television show? MBenn- To now continue the journey that we started and to think outside the square and push the boundaries of what is the norm but not forgetting the basics from where it all begun. 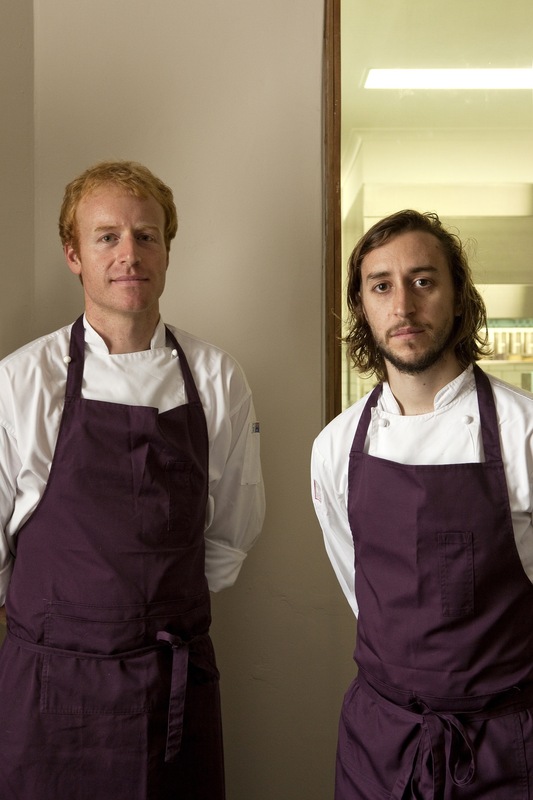 I would hope that Sepia becomes a platform for young chefs to learn and grow and to some day live the dream of owning their own restaurant. 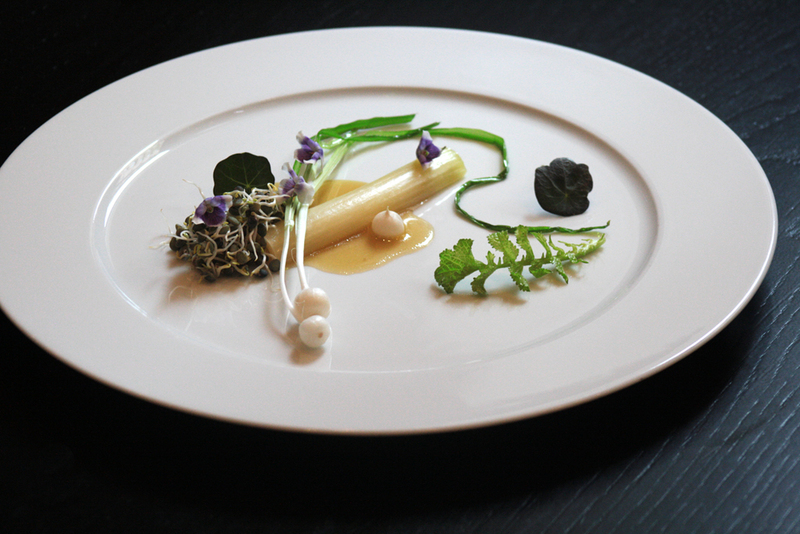 I think that for me personally I would love sepia to continue to grow and evolve as its cuisine does. As I said earlier we have put in place the Saturday night chefs tasting menu where we only serve a set 9 courses dinner giving us the freedom in the kitchen to explore different produce and techniques that we can not otherwise do during the week. So far the guests have embraced this and it continues to be popular. As for a book, this is imminent we are planning on starting next year, we hope. *Influenced from the taste of the sea. 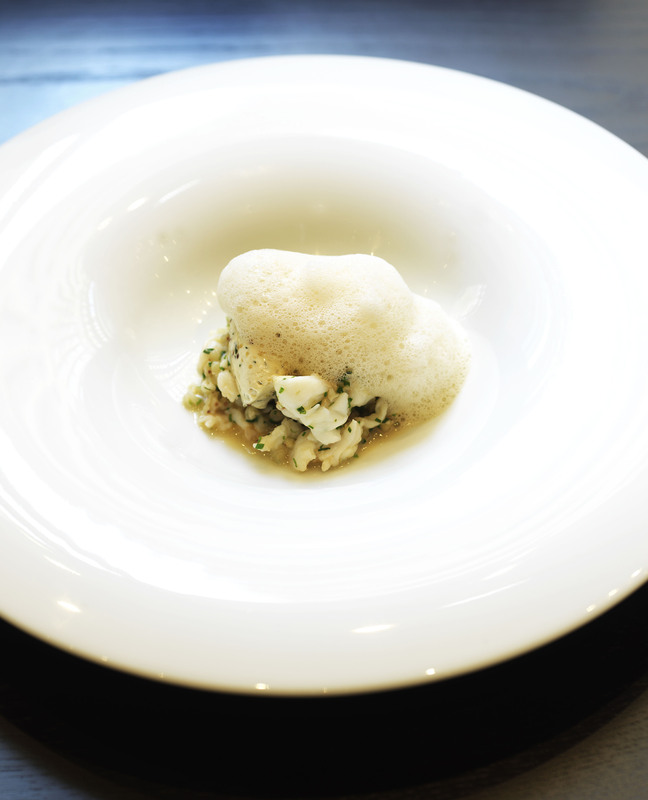 The buckwheat is used to carry the flavour of the crab and the froth is like the bubbles from the ocean. 1. Heat a little olive oil in a heavy based pan. 2. Add in the diced shallots garlic oil and thyme leaves and sweat until transparent. 3. Add in the cooked buckwheat and combine well together. 4. Ladle in the shellfish stock as you would make a normal risotto. 5. Once the buckwheat is tender add in the crabmeat and remove from the heat. 6. Stir gently and add in the mascarpone and tarragon. 7. Season the risotto with salt and pepper. 1. Pour the Shellfish stock into a pan and bring to the simmer. 2. Reduce the stock for 5 minutes. 3. Add in the butter and blend through with the aid of an immersion blender. 4. Add in the sucro and blend again to for stable foam. 5. Season the scampi stock with salt and pepper to taste. 1. Spoon the risotto into the required bowl. 2. Make sure to keep it tight in the centre and then place a quenelle of the grain mustard butter on top. 3. Scoop some of the shellfish foam from the pot and place onto the risotto to finish.